Dr. Durbin was born in El Centro, Calif., and raised in Arizona. He graduated from Northern Arizona University and received his medical degree from the University of Arizona. He completed his internship and residency at the University of Virginia. 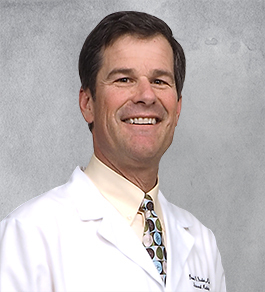 Dr. Durbin is Board Certified in internal medicine and is a Fellow of the American College of Physicians. He began practicing in 1994 when he joined Internal Medicine Associates, and was a founding member of Summit Medical Group in 1995. Dr. Durbin lives in Knoxville with his wife and two children.